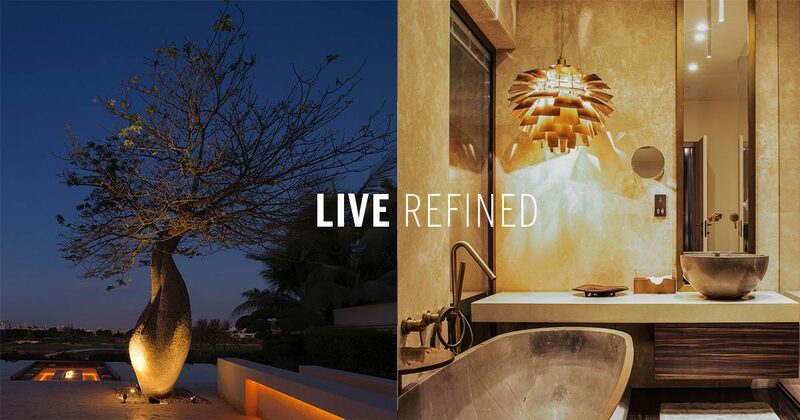 Luxury living comes synonymously with refined and sophisticated. When we say luxury living, some might imagine extravagant interiors with golden plated details, but architecture and design vary from one home to another, it is all about custom details and personalizing it to your own taste and comfort. What sets luxury properties apart is the conscious and unique use of high-quality materials, unique finishing touches, setting and use of smart home technologies. Natural materials such as marble, granite, onyx and wood create a modern, elegant setting and offer a great backdrop to designing a state-of-the-art space that inspires and emits a positive atmosphere. On top of that natural materials are eco-friendly, durable and versatile. With the latest trends in mind, marble is one of those materials that just never goes out of style. It has since long been a base for luxury interior design that offers a sophisticated touch to any type of living space, be it a living room, bathroom, walk-in closet or an office space. Details, such as lightning fixtures and floor-to-ceiling windows also transform living spaces to any occasion from day-to-night. Discover properties that use these materials at its very best with the influence of culture and modern trends in mind. From floors to ceilings to bathtubs and kitchen sinks, prepare to be wrapped in luxury. Offering the perfect blend of extravagance, minimalism and arabic design with the use of marble, mosaic tiles, wood and velvet materials.